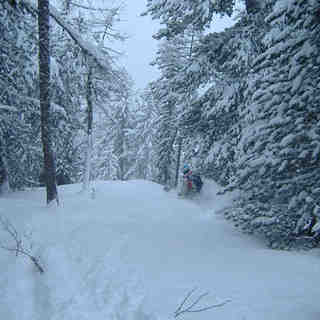 Is it snowing in Champex-Lac ?Merci! Champex-Lac in Switzerland (in the Valais region) is a small ski resort with just 4 ski lifts (2 chair lifts, 2 surface lifts) but it does boast a very impressive 969 metres (3178 feet) of vertical descent. 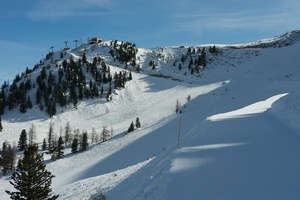 Champex-Lac has 4 pistes with a total length of 25 kilometers (16 miles). 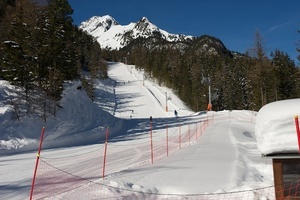 Champex-Lac is best suited to intermediate skiers and snowboarders but there is some terrain for beginners and advanced skiers. 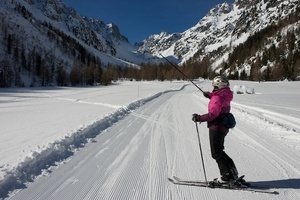 There are 20 kilometers (12 miles) of cross country ski trails at Champex-Lac. For snowboarders, there is a half pipe. The nearest airport is at Geneva. Champex-Lac is now overrun with guys with fat skis and no avalanche awareness. Having a beeper and backpack does not mean you have avalanche awareness. Be careful if going off-piste. Champex-Lac is not a very big place and most of the 'get outs' require you to point it and not dilly dally around, unfortunately lots of newbie's trash the place before lunch. 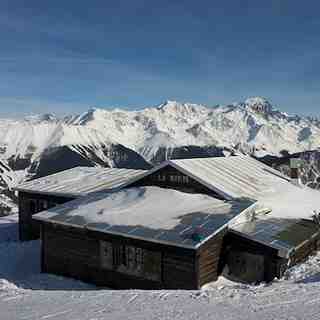 Unless your an honest expert who knows the routes at Champex-Lac I'd suggest stay back in Verbier. There are some easy runs but do not drop in unless you know the proper safe way through - following tracks could be suicidal but I see it all the time.